I have recently read on David Lebovitz's website about how the people in Nice, on the Cote d'Azur, France, make this salad. 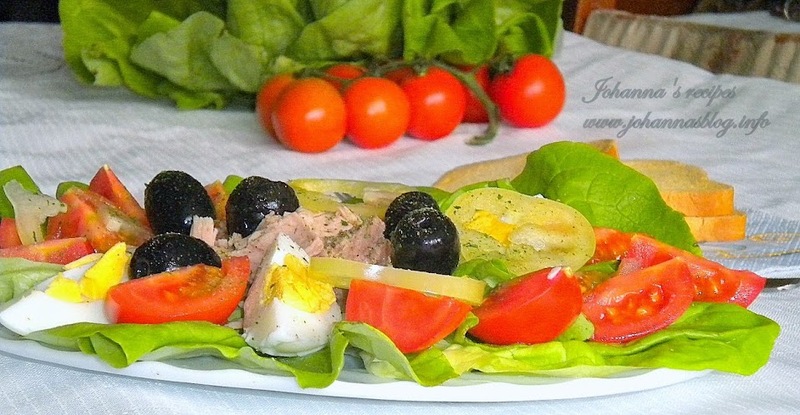 David says that he read in a book written by a famous chef, that the Nicoise salad contains only fresh ingredients, except the boiled eggs, and it contains neither two kinds of fish, nor boiled potatoes. I saw on some food blogs Nicoise salad with potatoes and more types of fish. 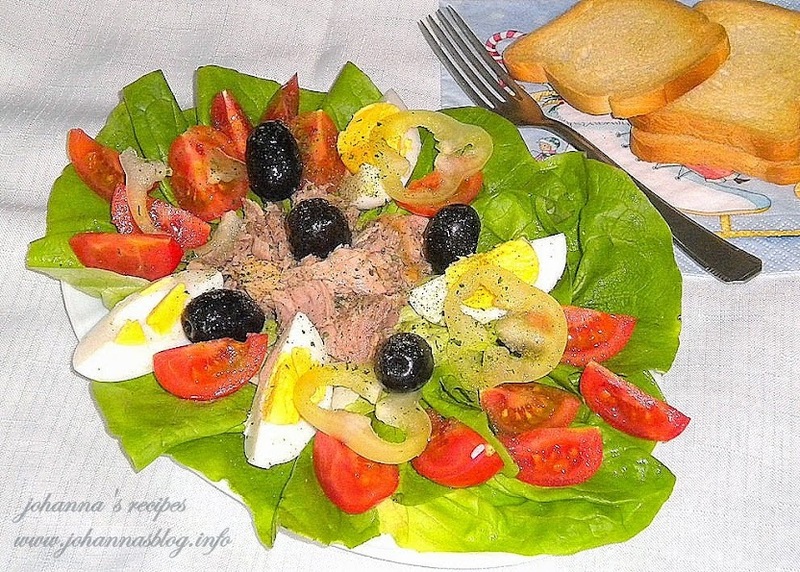 How I made it: on a plate I put lettuce, then slices of tomatoes, slices of ​​boiled eggs, several black olives, canned tuna chunks, stripes of bell pepper. I added some olive oil, salt and pepper and the Nicoise salad was ready to be served.